Crush the herbs using a mortar and pestle and keep aside. Now mix all the dry ingredients ina bowl and add the herbs ,olive oil and melted butter and combine well. Now add water little by little and make a pliable dough and cover it. Rest the dough for 30 minutes. Preheat the oven @ 350 deg F. Now divide the dough into equal balls. Roll out the dough (slighly thick --which i failed to implement) and cut into thick strips. Twist the dough strip and palce the strip in the greased baking sheet. Bake for 15 to 20 minutes or until it turns pale golden brown ( I like it bit dark..).. Enjoy with cheese , any chutney,ketchup of ur choice.. Note : I made thin straws and it was so flaky and crispy. 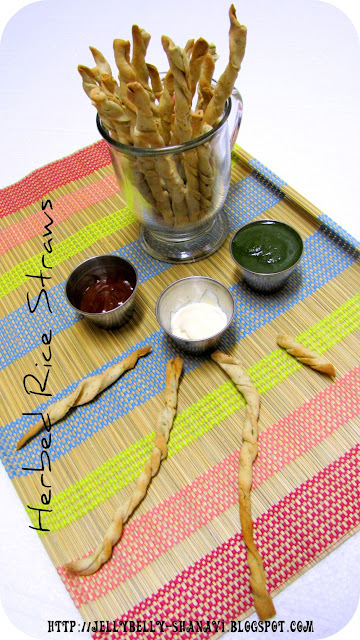 U may do thick straws just like the original verison..
super crisp straws a companion for tea . Wow the dish looks so pretty seriously!..very nice.. Thanks for trying dear, urs looks damn fabulous..
wow..they look so crunchy - munchy..awesome recipe Shanavi!! 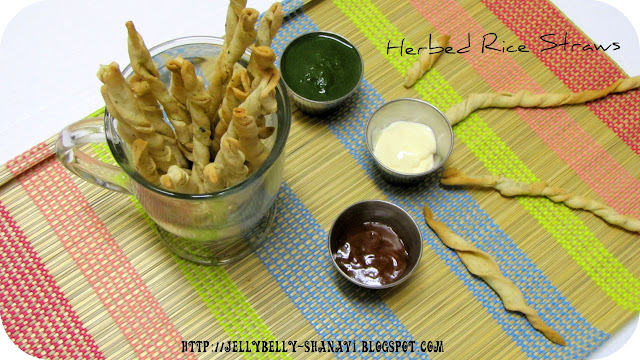 Herbed rice sticks looks so so crunchy and crispy...Awesome dear..
Thats afantastic and flavour full recipe.. 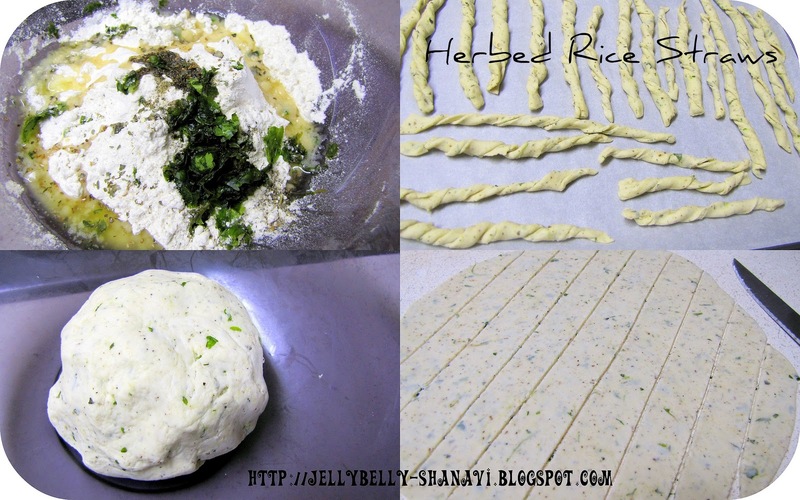 Adding riceflour is really a nice twist. Crispy and perfect! Nice snack to munch on all day..